Vintage Drug or Candy store Glass Display can be candy, Bell, or Apothecary Jar or Container. Container organizes while decorating your home. Functional home decor glass jar works in every room, whether its holding gum balls in a child's room, pasta in the kitchen or cotton balls on the bathroom. The hexagon shape is both fun and unique. 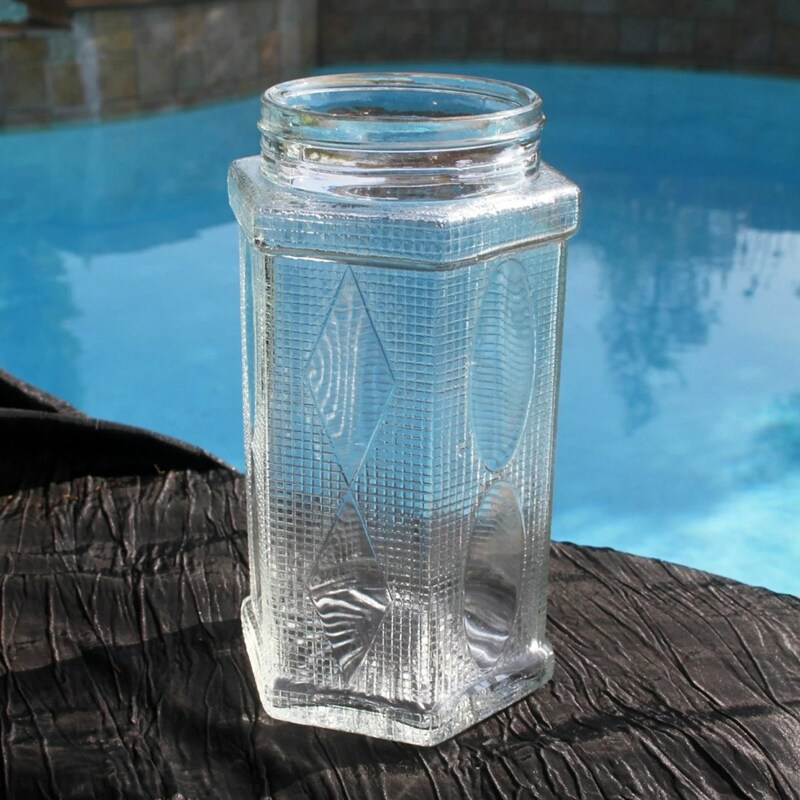 Clear Glass Jar has a Silver Metal round lid. Sides have quilted diamond pattern with large double stacked ovals alternating with double stacked diamonds. both bottom and top have trim enhancing the beautiful six sided vintage container. lid is silver colored metal that twists or screws onto threaded jar opening. THIS IS STUNNING, A Favorite!!!!!!! DONT FIND JARS LIKE THIS ONE! This entry was posted in http://feedproxy.google.com/~r/JujubefunnyFinds/~3/mRQpcsPWMXw/candy-store-jar-counter-display-diamonds1381388936 and tagged IFTTT. Bookmark the permalink.